1. Pricing Our pricing is competitive, and we offer a 24/7 online quotation system with a guaranteed same-day response. We'll also match or beat competitor pricing. 2. Availability Summer Stone Concrete works around the clock, rain or shine. If your project is top-priority and/or a rush-job, that's fine with us! We're used to working day and night to meet customer deadlines, ensuring projects are completed both on-time and on-budget. 3. Knowledge & Expertise Summer Stone Concrete has over a decade experience in the concrete business. Our quality workmanship is evident in everything we do and we strive for perfection in each and every project. 4. Quick Turnaround Times On average, Summer Stone Concrete provides a quicker turnaround time than its competitors. From the initial meetings and consultations, to the finished product and final sign-off, our project turnaround times are unmatched and our quality of work is unparalleled. 5. Diversity Summer Stone Concrete offers a diverse and wide range of concrete products, services and solutions. Many of our customers are repeat customers who call upon Summer Stone Concrete more than once as full-service concrete professionals. 6. 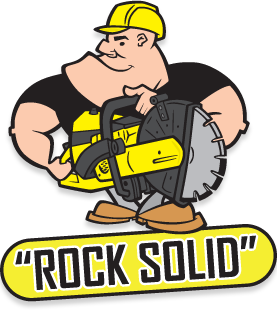 Customer Service Simply put, we guarantee our work and are fanatical about maintaining our rock-solid reputation. Customer service is the most important aspect of our business and is one of the primary keys to our success. 7. Reputation As much of our new business comes from word-of-mouth referrals from happy homeowners or home builders who have chosen Summer Stone Concrete in the past, we recognize the huge importance of maintaining a solid reputation. We work hard to better our already rock-solid reputation, and maintain the values that our customers repect and have come to know in Summer Stone Concrete. 8. BBB Rating We understand the importance of a 3rd party review, and respect the corporate values, morals and ethics required to achive an above-average rating with the BBB. Summer Stone Concrete has always worked to resolve issues with customers and keep customer service and satisfaction a top priority. One more reason our reputation remains rock-solid and we've established an above-average "A" rating with the BBB. 9. Portfolio Don't take our word for it, browse through or past projects to see for yourself the quality craftsmanship and expertise applied to each and every concrete project completed by Summer Stone Concrete. 10. Community Committment & Involvement Summer Stone Concrete supports the communities in which it does business. From local hockey and soccer team sponsorships and donations to local non-profits, Summer Stone Concrete sets the example of a corporate entities responsibility and opportunity to help and give back to the community. We encourge our employees to get involved in local, non-profit initiatives and volunteerism. After all, what's good for the community is good for business.